I really love quinces. They are so amazingly aromatic that they’re worth having round just to smell, and once they’re cooked they smell even better. Every winter while they’re in season I make sure I poach some to have with yoghurt or cream, and I also add them to apple crumble as it adds that wonderful aromatic quality to the apples without being too rich. 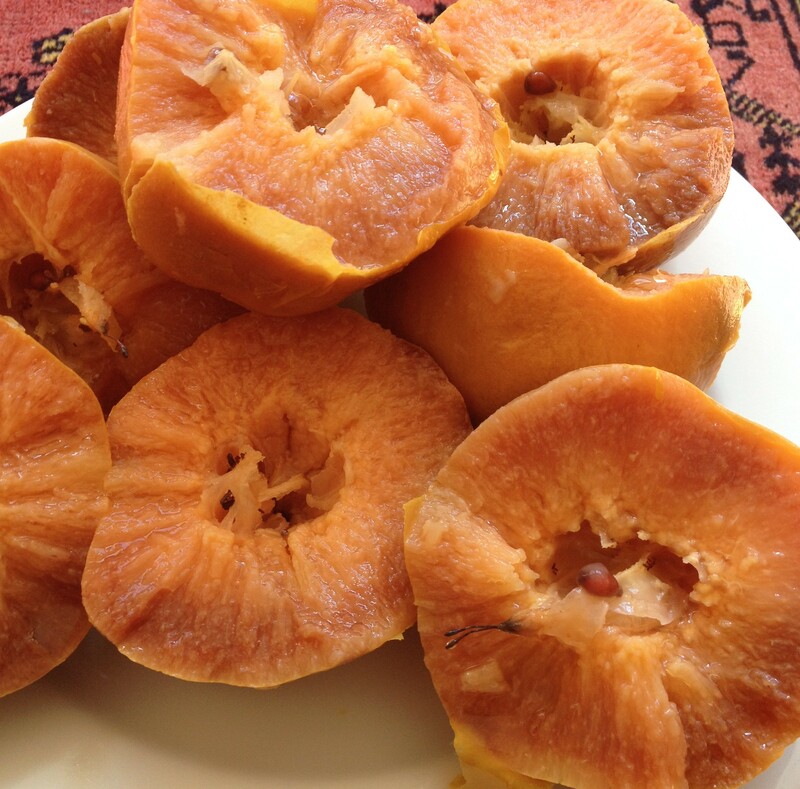 Quinces are also versatile; quince paste with soft cheeses; quince jelly; quince tarts and cakes; they’re also wonderful used in savoury dishes such as Moroccan casseroles – as you can probably tell, I’m a fan! Although I love them, until last year I hadn’t made quince jelly or paste as I had mentally put them in the category of too time consuming and too wasteful. Most recipes I had seen for quince jelly involved cooking up lots of quinces and them throwing them out and keeping the liquid; while the quince paste recipes involved cooking the quinces then throwing away the liquid plus the skin and cores. It seems obvious, combine the recipes and use the fruit pulp for one and the liquid for the other, but I wasn’t sure if there would be enough pectin to set both, or if the flavour would be any good. I won’t keep you in suspense…they both turned out beautifully, but unfortunately I didn’t write down the ingredients or process. So, this year, just squeaking in before the end of the season, I’ve decided to duplicate the process, and this time record it here so I don’t have to try and remember next year. 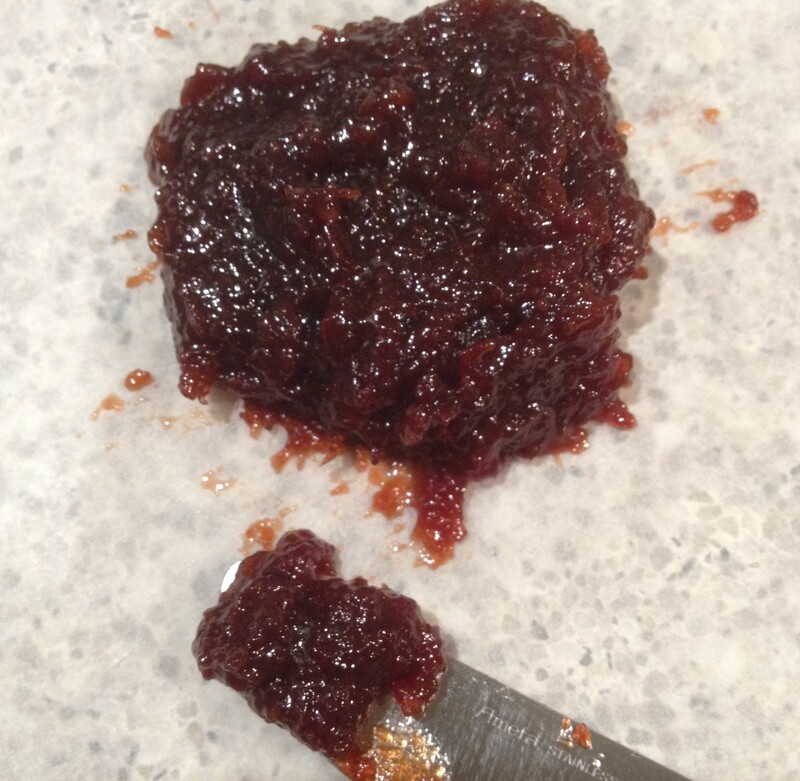 I won’t lie, it is pretty time consuming, though not at all complicated, but this recipe should easily make enough to keep you in quince paste and jelly until next season, which isn’t bad for a day’s work. I start with just covering the whole quinces with water in a big pot with the juice of a lemon and the lemon halves and simmering until soft. Then I scoop them out and let them cool briefly – these are for the paste. Once cool enough to handle, I puree them and then pop in a slow cooker with ¾ as much sugar by weight. Now all you need is time. After about six to eight hours, the paste become a deep red and will become so thick you can barely push a spoon through it. At this point you can either pour into jars or spread into a tray and dry further in a very low oven until you can cut into pieces. 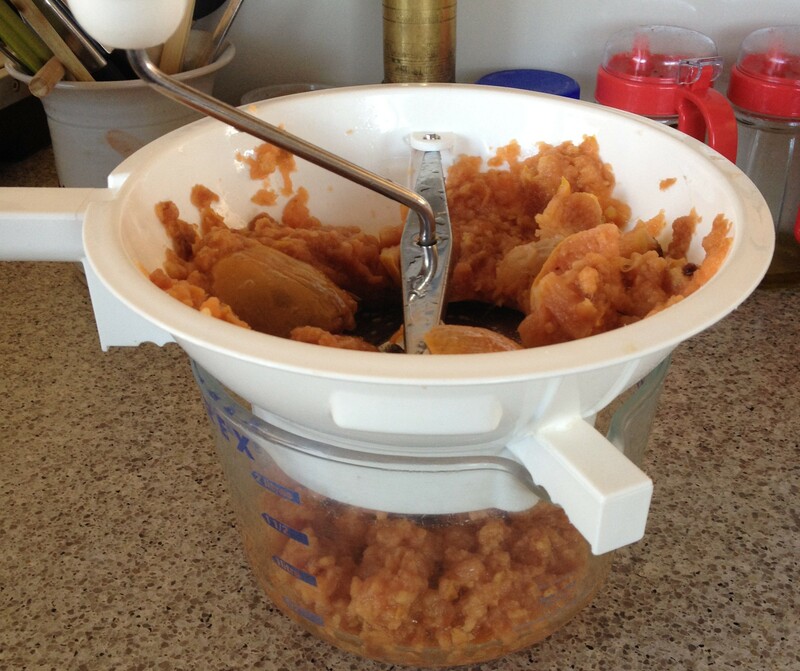 A tool that I find particularly useful for the paste is a Mouli (generically called a food mill) which purees and sieves the cooked quinces at the same time. If you don’t have one you could probably either push the quinces through a coarse sieve once cooked (maybe briefly process first? ), or core at the beginning and put the cores in a muslin or similar bag to infuse in the liquid so you can just use an immersion blender on the cored fruit. However I recommend the Mouli! Keep all the core, skins and seeds that won’t go through the Mouli. For the jelly – to the remaining water (don’t tip it out!) I add another chopped quince, all the core and seeds left from the paste (these add extra pectin), and the juice of a lemon. Cook for about an hour until the extra quince is very soft and the liquid is slightly syrupy. 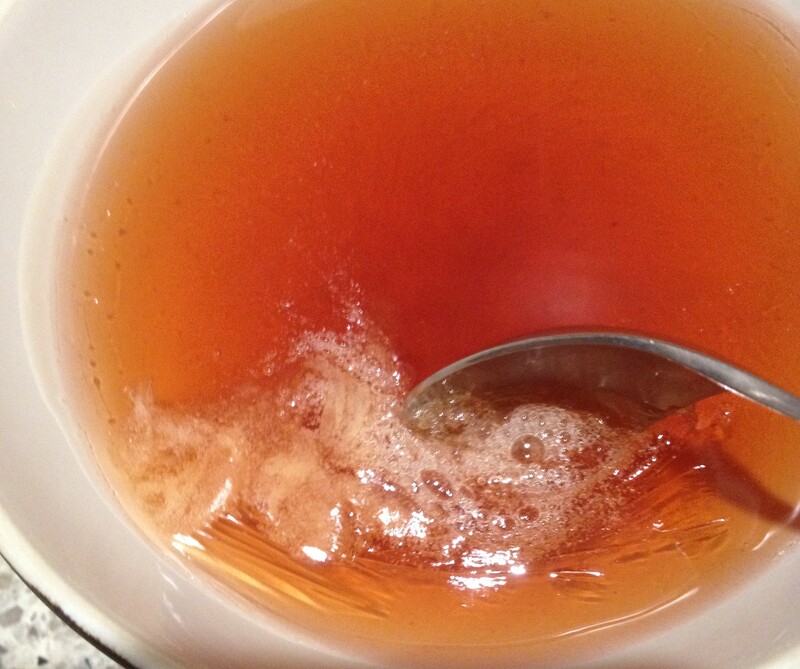 Strain overnight through a sieve lined with muslin or a clean chux cloth without pressing on the pulp. The next day, heat the liquid in a very large saucepan with slightly less than the same weight of sugar. 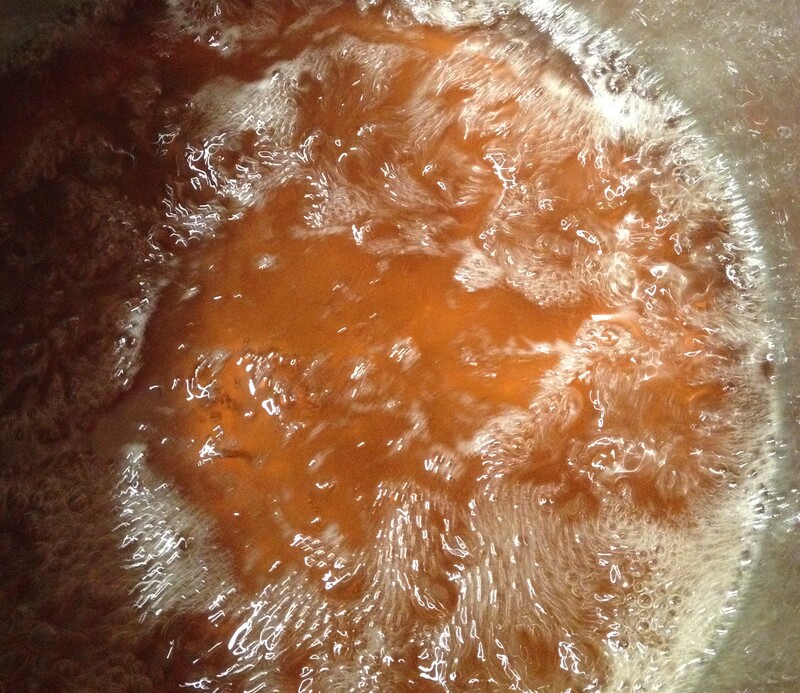 Boil rapidly for about 30 min until reduced and syrupy and a deep red colour. It will foam a lot, so don’t walk away or it may overflow. At this point you can start testing if it’s set. The easiest way is to chill a teaspoon and saucer in the freezer, then put a small amount of jelly on the spoon and pop back in the freezer. If the jelly is ready it will wrinkle on the spoon and not run freely. As quinces are high in pectin it should reach a set quite easily but I still check to make sure. Pour into jars as described here. This recipe list quantities and a basic method, but read the rest of the post above for details. 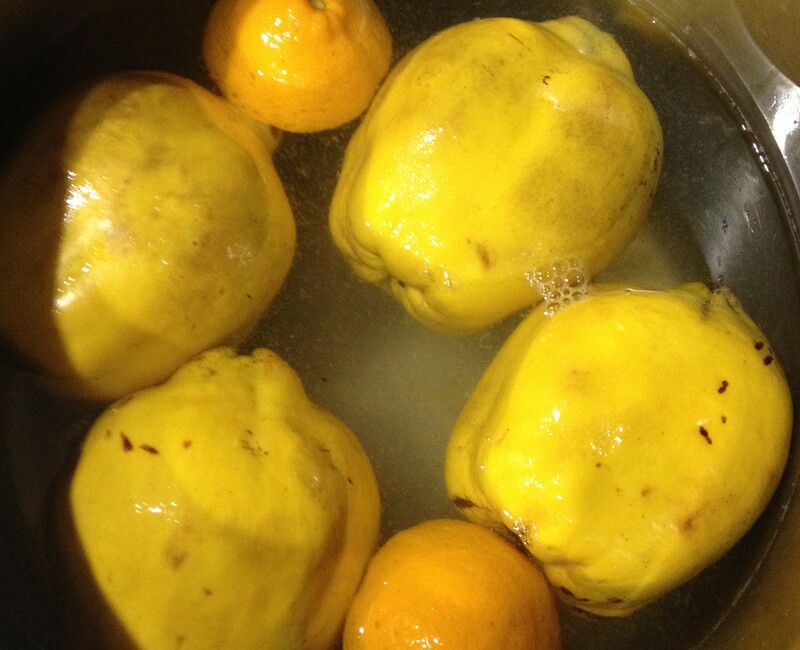 Cover the quinces with water in a big pot with the lemon and juice, and simmer until very tender. Remove the quinces (retaining the liquid), roughly chop, and work through a Mouli (retaining the pulp that won’t go through). 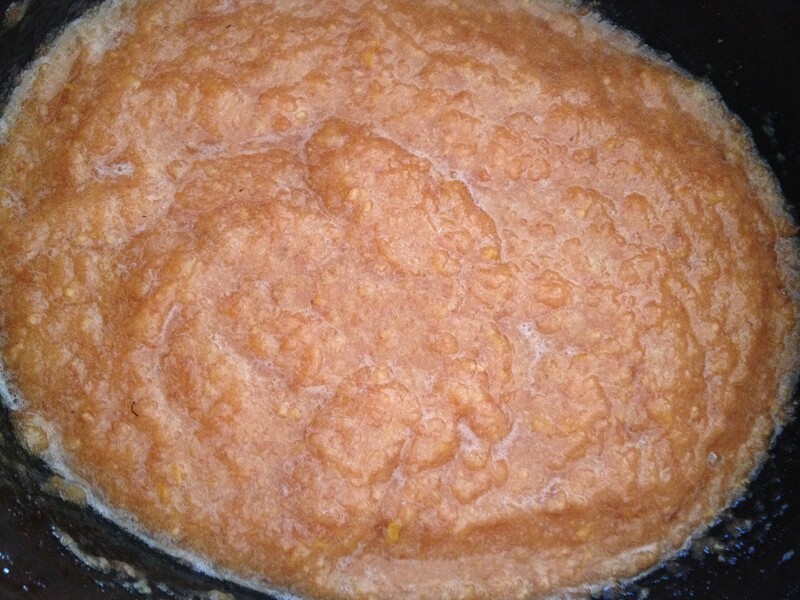 Combine the puree with ¾ of its weight in sugar (in this case the puree from 4 quinces weighed 1200g, so I added 900g sugar) in a slow cooker, and cook on low until the puree is reduced and very thick, up to 8 hours. 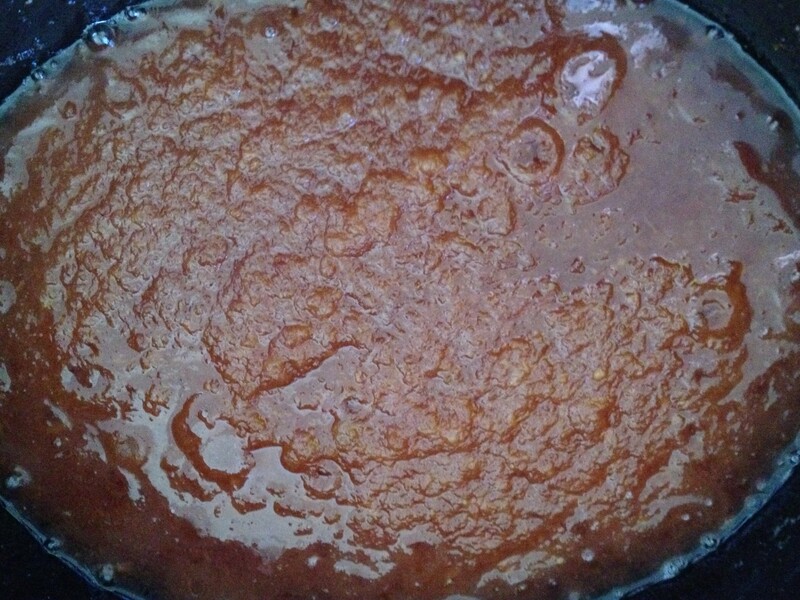 If the puree is not reduced enough at this time, either move the lid to only partially cover so more liquid evaporates, or pour in to a lined tray and dry further. Put the liquid, quince, juice and pulp in a large pan and cook until the quince is very soft. Strain through a lined sieve overnight. Combine the strained liquid (discarding the pulp now) and nearly its weight in sugar (I used 1300g liquid to 1100g sugar) in a large pan and heat, stirring to dissolve the sugar. 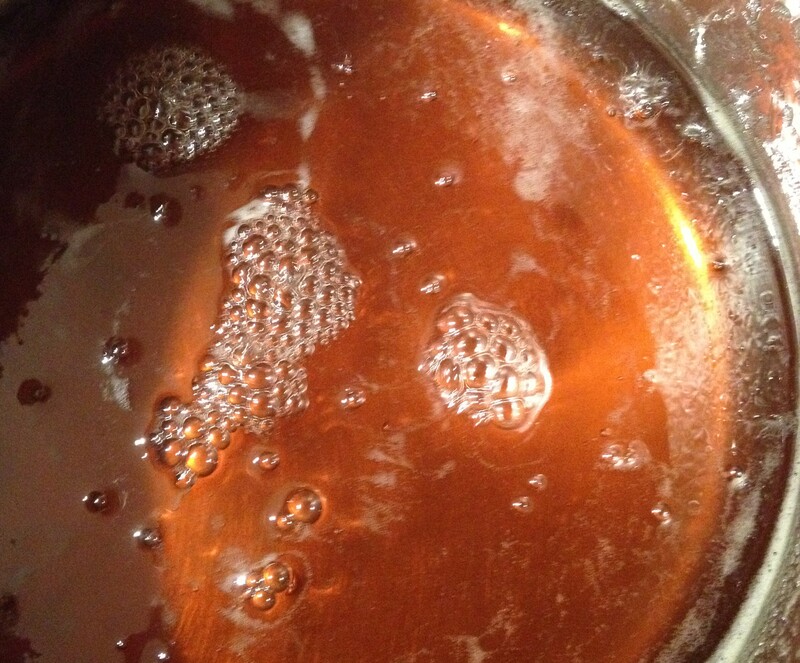 Boil rapidly until setting point, and pour into jars. I just adore quinces too, and have a little tree out in the garden that’s just starting to bud. 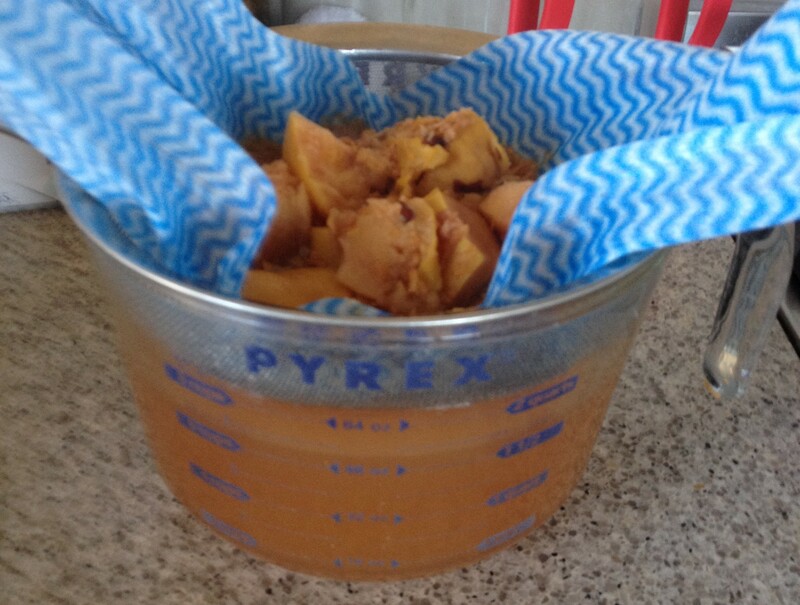 I have kilos of poached quinces in the freezer- I bet I could turn a bag of them into paste with your slow cooker method, I don’t think them being frozen should affect the outcome- do you? 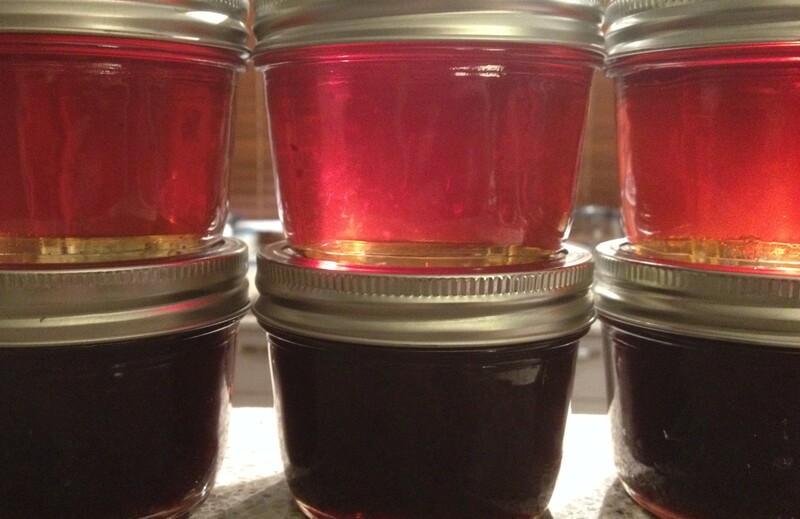 I have never made jelly but I do love the end product. It looks very professional. Have a lovely evening! Liz, quince is actually one of the easiest as it’s so high in pectin. It’s almost impossible not to get a set, and even if you don’t want to make quince paste, you can cook quinces just for the jelly or use the liquid from poached quinces – very flexible! I have spent all morning making quince jelly, but alas, it is quince cordial! I did not add any lemon juice, so perhaps there was not enough pectin. How do we feel about reboiling with lemon juice or even commercial pectin? BTW, happy new year!